The latest rebreathers are lightweight, easy-transportable units that have sophisticated electronics to simplify their use. With the introduction of the PADI Rebreather Diver courses, rebreather diving training is now available for the PADI Open Water diver. 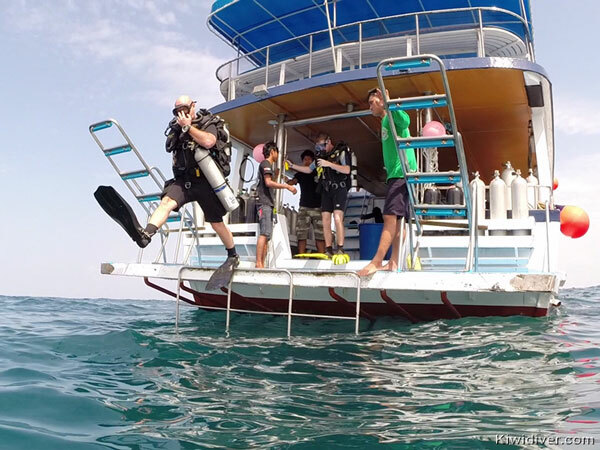 Rebreathers allow longer no decompression limits, reduced gas consumption and unmatched wildlife encounters. Now anyone can become a Rebreather Diver. The PADI Rebreather Diver course uses Type R units to introduce divers to rebreather diving within recreational dive limits. Type R rebreathers are electronically controlled and provide a back up for all the major systems and simplify training and use. 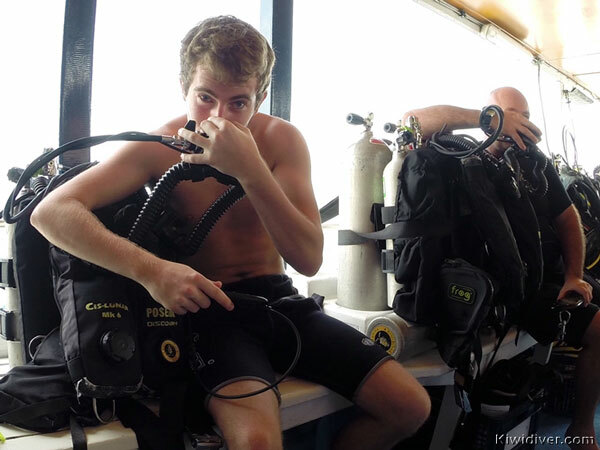 In this entry-level four day rebreather program you will learn to use Type R recreational rebreathers to a maximum of 18 meters/60 feet within no decompression limits. 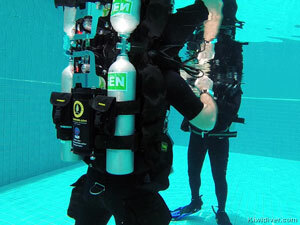 Kiwidiver offers the scuba rebreather course on the Poseidon MK6 or Se7en, Hollis Explorer and AP Inspiration units. 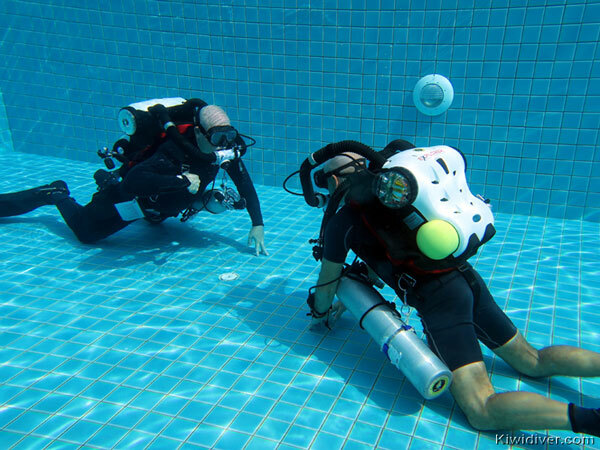 The first recreational rebreather to be approved by PADI for Rebreather courses was the Poseidon MK6 Discovery rebreather. This is a Type-R, fully automated rebreather, which is easy to operate and can be safely used for all the beginner PADI rebreather courses. The new generation of Poseidon rebreathers is the Poseidon Se7en, which is a modern unit, that is made simple to use through sophisticated technology. It is used for by both recreational and technical rebreather divers. Since the release of the MK6 other manufacturers, Hollis and AP Diving, have joined Poseidon producing recreational rebreathers and Poseidon has even introduced a new updated model the Poseidon Se7en with even more features and improvements. Do you have questions about the PADI Rebreather Diver Course? Train up to Advanced Rebreather Diver in the same time frame and save 40% of course price by enrolling for our PADI Combined Rebreather and Advanced Rebrethear course.